Grizzly Bear Life-Size Statue. 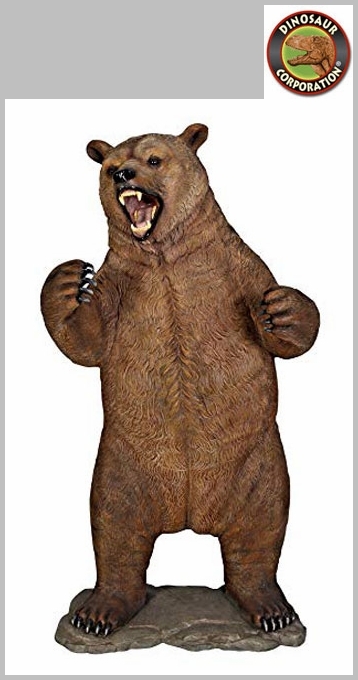 A life size bear sculpture, almost 7-foot tall bear trophy statue! 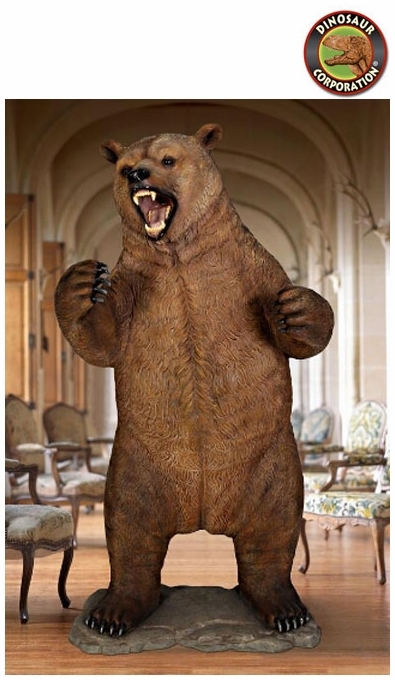 Realistically sculpted to pass as a ringer for its North American cousins, our majestic bear statue will keep the neighbors at bay with its authentically fierce bared teeth, massive claws and grizzled (or "grisly") flecked fur. * Size: 43" W x 36" D x 82�" H.
* Base: 42" W x 24" D.